What if YouTube Was an Encyclopedia? The Digital Age, which started to emerge soon after the rise of the World Wide Web, in the 1990s, unleashed a wave of technological innovation that has transformed how we consume and produce information. Many of these advances have, and are causing, disruption to the traditional methods of information transfer that exist within the traditional worlds of communication, marketing, entertainment, and education. YouTube, which is one of the world’s most popular websites, remains a touchstone example for many of the characteristics that now make up our Digital Culture – for it contains user-generated content that is consumed and shared daily from mobile devices such as the iPhone and iPad. Furthermore – and perhaps more appropriately related to this article – YouTube is one of the first entry points to the World Wide Web, for many young children in possession of a mobile device – for this reason alone it requires our attention! I’m confident most parents can relate to the feelings of wonder as they witness their child as young as 18 months, begin to navigate through the platform. It doesn’t take long for them to learn how to independently locate their favorite unboxing videos, and use their finger to swipe, pause, and even turn up the volume of that annoying soundtrack that you’ve just turned down. 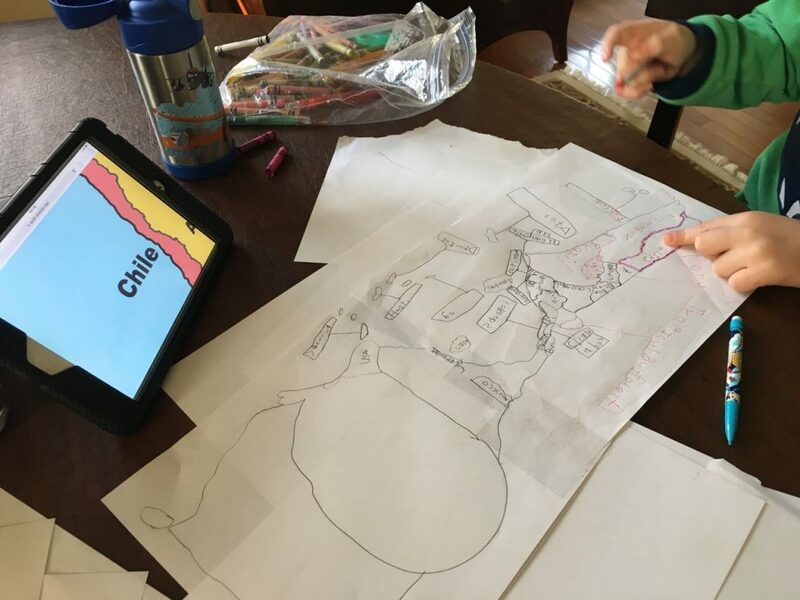 Using YouTube, I’ve watched my eldest navigate through the platform to seek out information about other countries in the world, and look for videos that contain maps, which he then copies. Our little ones will soon discover that YouTube, contains an infinite amount of information. You can practically locate a video about anything you want. While YouTube was initially banned in many schools districts after it first came out in 2005, I now think that educators have become reasonably good at curating content using the platform, and for the most part have gained control of it’s use as a tool for learning within their classroom environment. However at home, and often before children enter Kindergarten, the access to YouTube for many littles ones appears to take place without the guidance of an adult, and for me this raises some issues when it comes to the information that our children are accessing prior to entering schooling. It’s really important to find ways for your child to express their understanding about topics they’ve explored on YouTube. 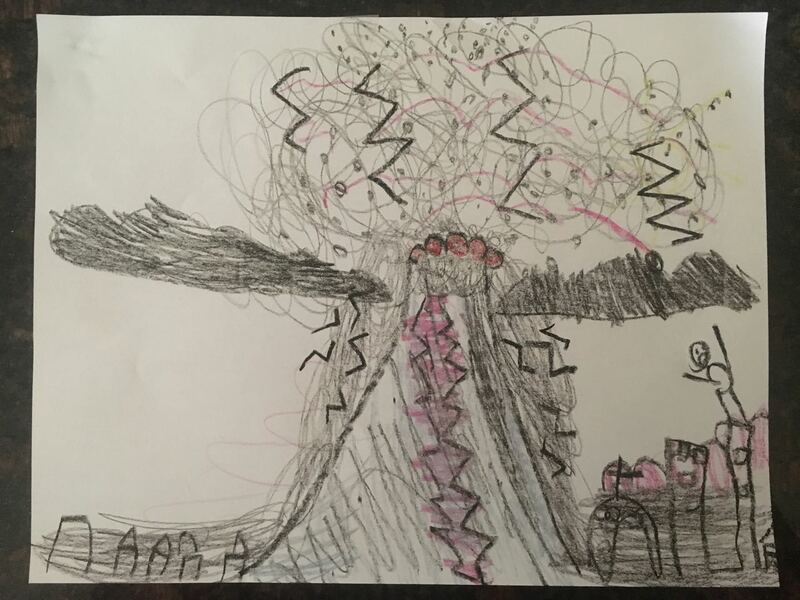 In preparation for our trip to Naples, my eldest watched videos about Pompeii – specifically what made that particular eruption so devastating. 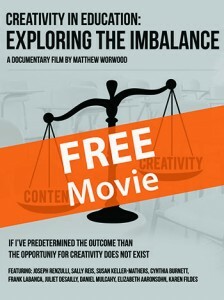 In order for parents to better leverage YouTube as a tool for learning, we must take more of an active role in how it’s used within our home, otherwise it will most likely remain primarily a source of entertainment, and this is perplexing given the treasure trove of educational resources that exist within it’s page. I am one of those parents who has concerns how much time my youngest spends on YouTube. I certainly consider it an issue if wakes up in the morning and immediately asks for his iPad. Equally it’s a concern when I wonder if it’s possible to take him on a 10 minute car journey without ‘having’ to bring it with me. * BUT – and here’s for me a GREAT BUT – I wonder what I would think if YouTube were an encyclopedia? Would I be as concerned about the hours my youngest spends accessing its pages? You see, the way my eldest uses YouTube, is very different to how my eldest uses YouTube. My eldest’s use of YouTube, can in many ways be likened to the use of an Encyclopedia, for he spends hours and hours of the week consuming videos about Volcanoes, DNA, Climate Change, Countries of the World, and the Solar System. This is the type of use that I want to promote on YouTube, and it’s a type of use that I feel develops as children begin to progress beyond the unboxing videos that I referenced earlier. How YouTube differs from an Encyclopedia? Recently I shared a story about how my child uses Google Voice Recognition to locate video about Pangaea, “he was teaching me about Pangaea” I said, but he reminded me that this behavior isn’t that different to past generations. Ultimately, he’s seeking out information about topics that he finds of interest – what’s changed is the method to which he accesses that information. When he said this I could immediately relate – I remember using my parent’s encyclopedia to seek out new information about similar to my eldest. However, as I went away and thought about it a little more, I soon remembered that while I would seek out information in my parent’s encyclopedia, I was ultimately limited to what information I could access based on my level of reading. I did not have the ability to access the massive amount of information that is now available to young children through YouTube – this would have required skills that I probably wouldn’t develop until high school (and I might add that with my Dyslexia it took me longer that the average child to develop these skills), as well as access to a library with a vast selection of books. The ease of access, the selection of videos, and the fact that a child no longer needs to be at an advanced reading level in order to consume content, has allowed our little ones to begin pursing information related to their interests at a much young age. 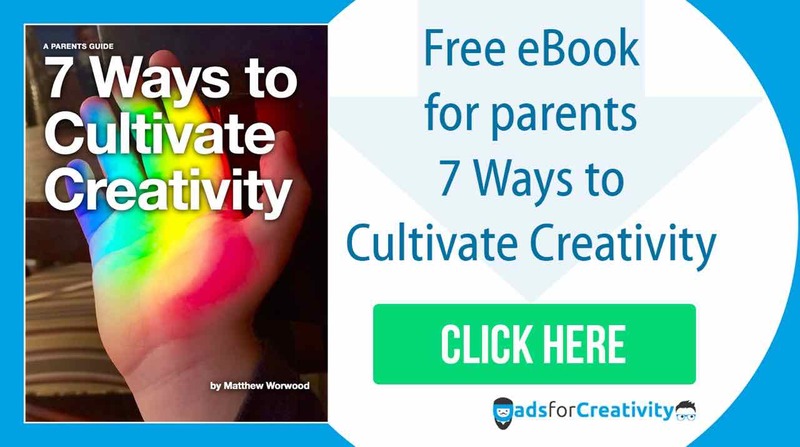 And it’s this use of YouTube, that I feel offers exciting opportunities when it comes to learning and promoting Creativity (on a very important side note – I still read A LOT to my boys and would never in anyway suggest that YouTube should be a replacement to reading!!!!!). Of course there are issues to what I’m promoting. For starters the ubiquity of information, and it’s availability to children of all ages, brings unique challenges for parents and education. Have we really studied the consequences of preschool aged children learning about 1st and 2nd grade topics, out of sequence, and without the guidance of a teacher? Do we know how to evaluate one’s understanding of a topic when the information has been obtained through video? In addition, the information accessed within the classroom is usually vetted by the teacher before it is made available for consumption by the student, however the information that our children access on YouTube is non-vetted, and so there are genuine issues surrounding it’s accuracy, which if not addressed at some point in the future, might contribute somewhat to our growing culture of Fake News. Ok, I feel this article is getting too long, so let me conclude my point. Download YouTube for Kids, and hide or delete the YouTube app. Tools such as ‘Google Complete’, and the selections that come about after a search query like Green House Effect, will be geared toward children. Sign into YouTube, and create a playlist of videos based on topics that are of most interest to your child. For example, a playlist on Volcanoes, will be helpful, and after your child has consumed them, a further selection of videos on Volcanoes that they haven’t seen will most likely appear next. Teach children how to search use Google’s Speech Recognition, which is the little microphone in the search bar. My youngest is only two, and obviously struggles, but he’s still in his unboxing phase – I’m talking about children four and up. Engage children in conversations about the content that they access, and keep an eye out for fake or bias content. They’re probably too young to evaluate the content by themselves, but it would be great if they at least develop a tendency to say ‘hmmm, Climate Change is made up by the Chinese?’ Mommy, is this true? (I might add that I haven’t stumbled across too many wild or whacky videos on YouTube for kids). 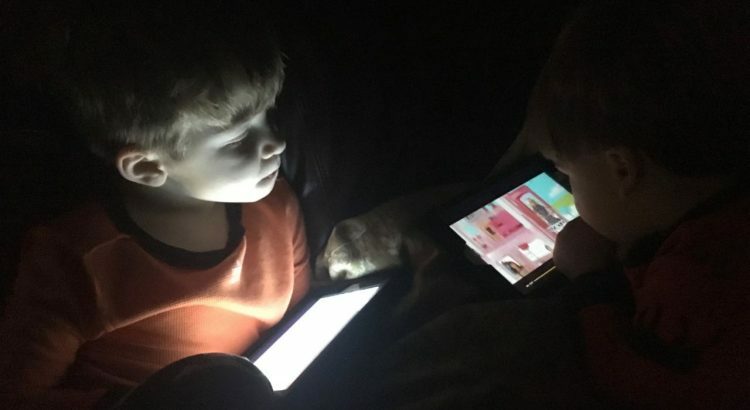 And perhaps most important – try and encourage your child to come out of the iPad to express their understanding of the information that they have accessed. This could be a conversation where you ask questions, it could be picture that illustrations their understanding like the one above, or it could be through the creation of videos as demonstrated below. *The American Academy of Pediatrics, have recently changed their recommendation of two hours of screen time per day. They now recommend no more than one hour per day for children 2 to 5 years of age, For children 6 and older, parents can determine the restrictions, and it should be noted that homework conducted on a screen does not count. Finally infants aged 18 months and younger should no be exposed to Digital Media. Ok, as a digital media practitioner, I hate, love, and most importantly envy all the extremely simple, basic, homemade videos of talking toys, trains, and Legos that are shared on YouTube. I find myself sitting there thinking, who is watching all of this stuff, and how has such a simple video got thousands of views when the trailer for my documentary barely has over a hundred. The answer is right in front of me – ‘DADDY!!! Can I watch Disney Collector Girl’, says Lucas. Who is Disney Collector Girl I say, ‘She’s on YouTube silly’. My boy absolutely loves these YouTube videos, he watches them during lunchtime and often chooses them over his favorite shows on Disney Junior (ok don’t judge with the fact I let Lucas watch the iPad at lunch time, He’s three and can be an absolute pain when it comes to eating so we need a distraction). It’s certainly difficult to specify on what he finds so engaging about the content, which may I add he finds himself by ‘browsing’ the suggestions on the right of the screen. Most of the videos he watches appear primitive and unstructured in their production and storyline to me, but to Lucas they make perfect sense and grasps his attention just like the latest Hollywood Blockbuster. This is probably because the director, filmmaker, and storyteller, is usually a child close to Lucas’s age. Why shouldn’t Elsa from Frozen jump into a spaceship to go and visit Lightening McQueen, who’s busy chilling on a wooden railway with Thomas the Tank Engine? Then comes in a monster in the form of a coke bottle and destroys everything in seconds and the film comes to a close. There are some videos that have been produced with the support of parents, and these include soundtracks and credits but the stories remain as sporadic. 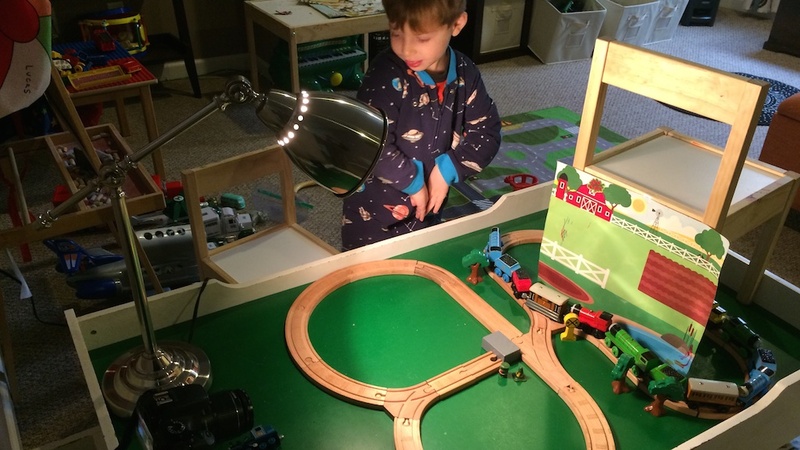 Lucas’s early favorites come from a category devoted entirely to wooden trains crashing and falling off tracks to the song ‘Accidents Will Happen’. This was when he was really into Thomas the Tank Engine and would get his trains and replicate what he was seeing on the screen. 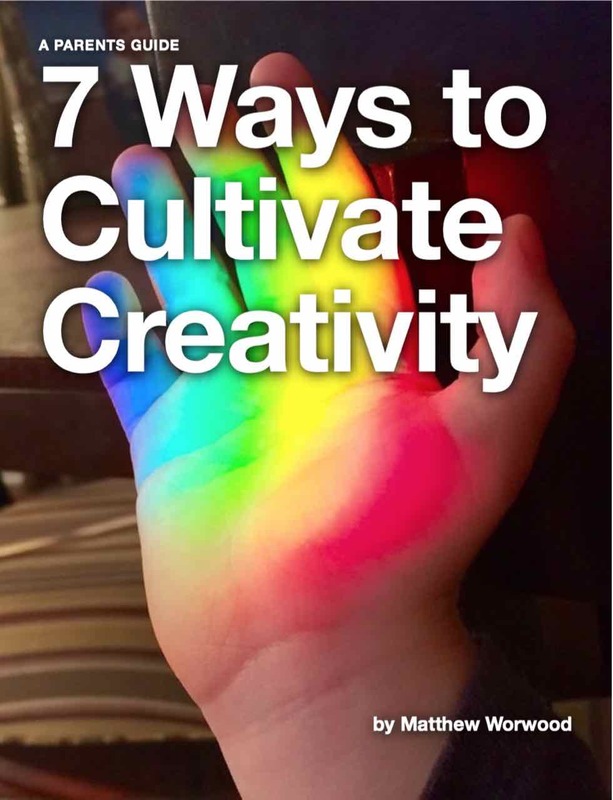 As I reflect on this activity I realize that Lucas was actually acting out the story that was unfolding in the video, and this is what makes the videos so powerful – it’s kids telling stories, to other kids, who in turn are inspired to create their own modified versions. Obviously children have always created their own stories in play, I still remember some of the stories I created when I played with my Star Wars figures and Legos. However, in the digital age we now have the ability to capture and share these stories with the world. So last week I recruited Lucas to produce our first movie, it was certainly an experiment and didn’t last longer than thirty minutes, but participating in the activity I realized how much of a creative act it really was – We were making and telling a story. Now I confess that in the first few minutes I made a genuine attempt to structure it as a wannabe filmmaker, but as you can see my boy was having none of it and quickly stamped down his authority as the director of our film.